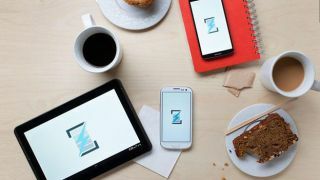 There's an ironic power struggle when it comes to charging your favorite devices wirelessly, and one of the three standards vying for the without-wires job just rebranded itself as Rezence. The Alliance for Wireless Power, or A4WP, thinks Rezence is a more consumer-friendly brand name and that its new lightning bolt logo will strike a chord. "The name Rezence was derived from the words resonance and essence," said Geoff Gordon, A4WP marketing committee chair, in a press release. "The Rezence logo includes a simple, iconic mark in the form of a Z that can also be used as a standalone mark on a variety of applications." You'll be seeing the new name and logo on boxes of smartphones and tablets that can be charged wirelessly - eventually. Rezence-enabled products are due to launch in early 2014, and according to AllThingsD, A4WP plans to show prerelease phones and chargers with its tech at CES. Rezence is waiting for early next year to make its presence, but you can wirelessly charge electronics through the already-launched Power Matters Alliance and Qi standards. Plenty of major companies are playing all sides of the charging field including Samsung, LG, Sony and Qualcomm. But it may be the exclusives that matter most. The Power Matters Alliance is being proliferated by companies like AT&T, Otterbox, Sharp and Duracell. Qi (pronounced "chee") inductive charging is being backed by the Wireless Power Consortium and has Nokia, Motorola, Panasonic and Verizon on its side. Rezence has Intel in its corner and the advantage that it can charge multiple devices at once. This is a new feature that the Power Matters Alliance and Qi are working on. The problem with this external power struggle is that it's confusing for consumers if they buy a new device that promises to wirelessly charge, but is meant for "the other charging mat." Google, for example, recently launched a Qi charger for its Nexus 5, Nexus 4 and new Nexus 7. However, you're out of luck if you already bought into a Power Matters Alliance mat. It's Blu-ray vs HD DVD and VHS vs Betamax all over again. Hopefully, it won't be too long before there's a Blu-ray or VHS to declare a winner. For being wireless, it's awfully messy. It's best for consumers to avoid getting tangled until a winner rises. You need to be ready for the Six global catastrophes that could kill your gadgets forever.